Philanthropist bar none, beautiful inside and out, Spiritual Advisor to the Rich and Famous are just a few words to describe A.L.Bonaparte. The Most Reverend Dr. A. Louise Bonaparte is a 7th generation Preacher, Prophetess and Healer. 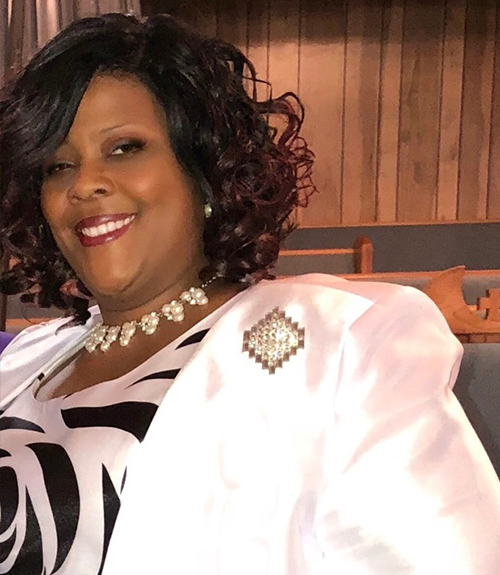 Louise Bonaparte is a Scholar as well as a Highly Anointed Woman of God; she operates in a fivefold Ministry and has been preaching the Gospel for over 35 years. Dr. Bonaparte has travelled to all seven continents; preaching and teaching in rural villages to crusades where 800,000 people were in attendance. Apostle Bonaparte is the 2nd Presiding Prelate of the Temple of the Good Shepherd Ministries World Wide Inc.; an International Ministry in full effect in 198 countries with connections of 2,500 Branch Churches, Clergy, Assemblies, and Missions; all in conjunction with A.L. Bonaparte Ministries which consist of 7 active Non-Profits. Dr. Bonaparte is an Ordained Apostle in the Lords Church and has 8 additional ordinations including becoming an Interfaith Minister and Reformed Rabbi; being the only female and person of Color to sit on a prestigious International Board of Rabbis. Reverend Bonaparte has been blessed to earn 12 degrees of which 7 are doctorates. Dr. Bonaparte’s career has spanned from Nursing to Wall Street as a Special Financial Consultant; and accomplished becoming a Medical Doctor (Surgical Oncologist / Scientific Researcher). Dr. Bonaparte is President and CEO of Jabez Global Enterprise, a Multi-Billion Dollar Family owned Enterprise with over 150 businesses and 100,000 employees on payroll worldwide. The Most Reverend is an educator as well having taught at an Ivy League University. She is a member and sits on the board of various Social, Civic, Religious, Business, Medical and Educational Organizations both National and International. Dr. Bonaparte is a Lover of all genres of music especially Gospel and is known as an International Gospel Promoter. Not only does she host local concerts but has expanded to International; taking artist overseas to perform at various venues to crowds up to 70,000. Reverend Bonaparte has been in the Gospel Music Industry for 30 Years and has worked with the biggest names in Gospel in addition to several soloist, choirs, duets and groups such as Lee Williams & Spiritual QC’S and The Mighty Clouds of Joy to name a few. Dr. Bonaparte is the President of Voice of the Trumpet Multimedia & Management. V.O.T.T. is a Gospel Artist Booking Agency as well as an International speaker’s bureau. There is also the Voice of the Trumpet Radio & Television Productions as well as V.O.T.T. Records and Book Publications. Dr. Bonaparte can be heard over the air waves on 620 AM and 1430 AM (local NY/ NJ/ CT) and around the world on the internet every Sunday Morning 8 A.M. EST. on CFCRadio.com. She is a radio Pioneer starting out as a Radio Announcer and Talk-Show host for various stations in the tri-state area of New York, New Jersey & Connecticut. A Few years ago she purchased a Communications Company which includes over 100 AM & FM Stations that play a variety of genres of music in addition to sports, news and talk radio; which can be heard in The U.S., Europe, and the Caribbean. Recently Dr. Bonaparte took over one of the top ten major media companies in the USA, which includes Print Advertisement, Digital Television as well as over 1,000 Radio Stations around the globe. Dr. Bonaparte has broadened her knowledge in the Media Industry and is an Executive for a Major Television and Motion Picture Company. The Reverend Bonaparte is the epitome of a True Woman of God, who is kind, caring, loving and giving. She tries to be an example by living a Holy Lifestyle to show the world what Christianity is all about.